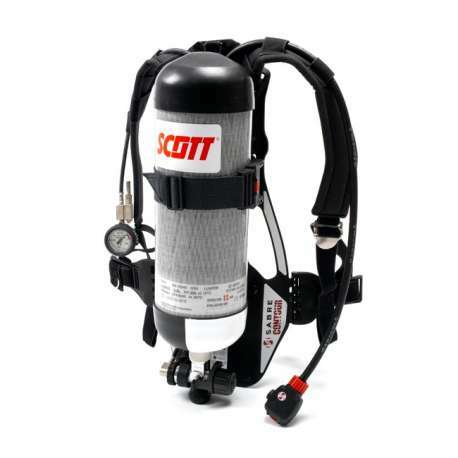 Here at Resmar we are proud to offer our customers the Scott Safety range of self-contained breathing apparatus units. This unit is the Contour 300 which is an open- circuit self-contained compressed air breathing system consisting of a padded carrying harness, backplate, pneumatic system along with a cylinder connector, reducer, pressure gauge, demand valve and whistle. 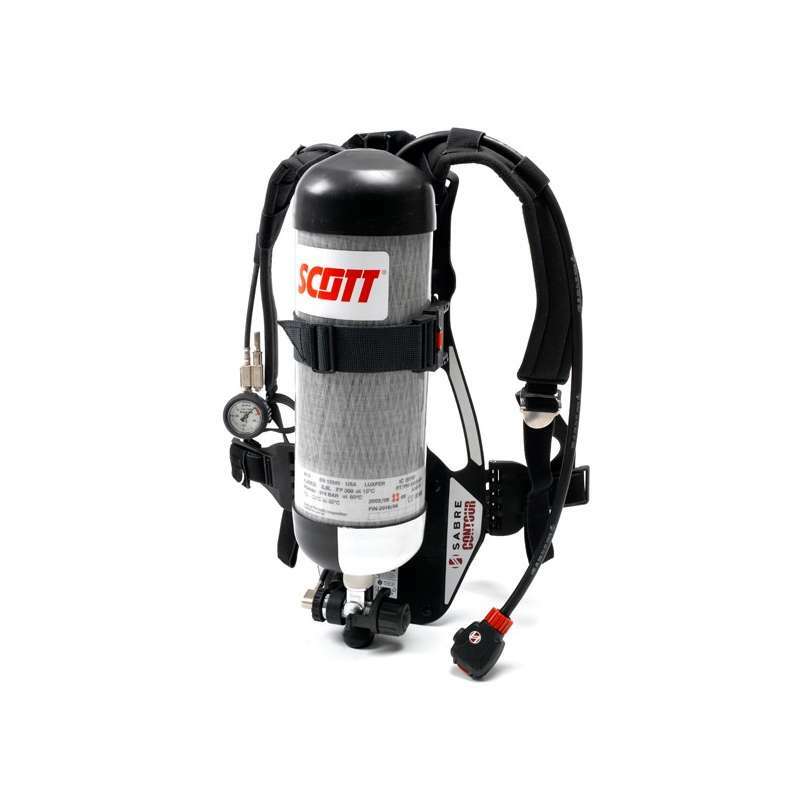 The contour 300 has been designed specifically for industrial/professional firefighting, but can be used for respiratory protection in environments such as IDLH, gas and oil industry etc. The demand valve is a Tempest demand valve which provides positive pressure and features servo assisted tilting diaphragm mechanism, responsive dynamic performance, low inspiratory resistance, automatic first- breath activation along with hands-free bypass facility. The pressure indicator is a Bourdon tube type with a dial indicator that has a heat /impact resistant polycarbonate lens and safety blowout vent, which is situated on the rear of the gauge, providing accuracy +/-10 bar from 40 -300 bar. The reducing valve is a first stage pressure reducing valve that features a spring-loaded piston mechanism (non adjustable) and the air supply is protected by a pressure relief valve. The valve body and cap are made from nickel plated brass with stainless steel spring hose retainer U clips. The weights (single configuration of cylinders) 2.3 kg and, with a facemask it weighs 3kg. The dimensions are 600mm x 278mm x 200mm.